Eadweard Maybridge was a former bookseller who took up photography as a hobby, later he was known to invent the first film. While watching horses race, he made a bet with some of his friends that a horse could lift all four legs when running. 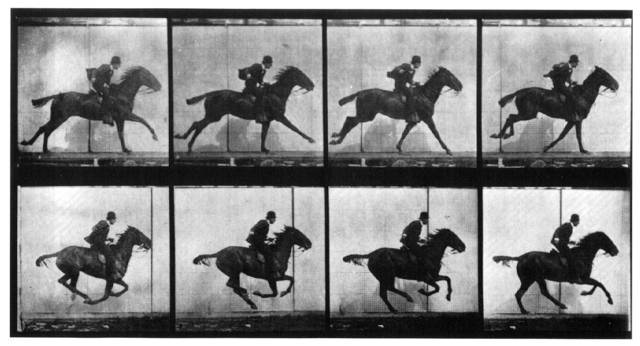 To prove this, he accidentally created the first film, using basic frames, nonetheless, he also won the wager, which consisted of $25,000. 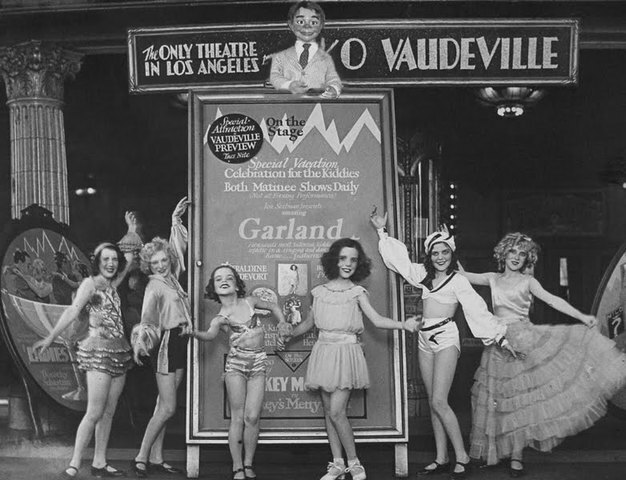 A type of entertainment popular chiefly in the US in the early 20th century, featuring a mixture of specialty acts such as burlesque comedy and song and dance. This became very popular once the projector was invented. The beginning of the popularity of film. 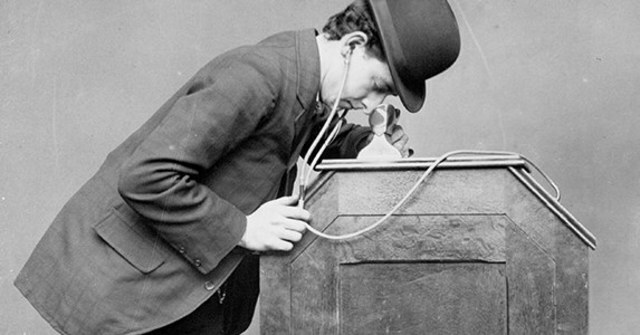 Thomas Edison helped with the development of film by inventing the Kinetoscope. The Kinetoscope was basically a flipbook that you would look into, making an optical illusion. The Kinetoscope eventually furthered into the earliest projectors. Cinema, the "silver screen", one of the biggest forms of art. During the early 1900s cinema started booming, people loved watching people's creations. Eventually, it grew into the multi-million dollar business it was today. 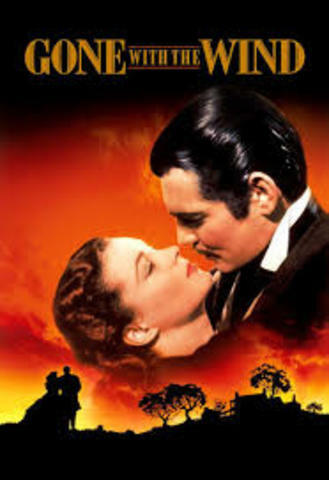 The first U.S narrative in film history. 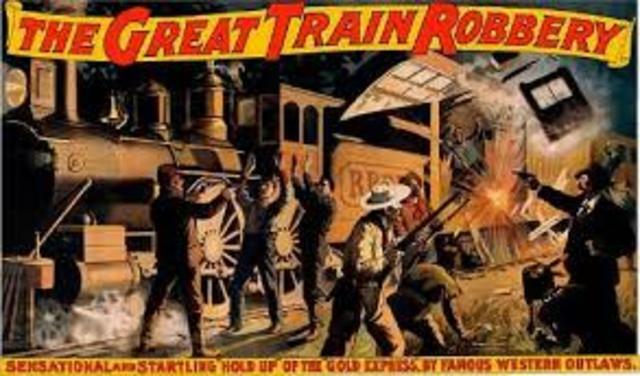 The Great Train Robbery was a silent short film directed by Edwin S. Porter. It is known to be one of the biggest milestones in film. These were the original movie theaters. 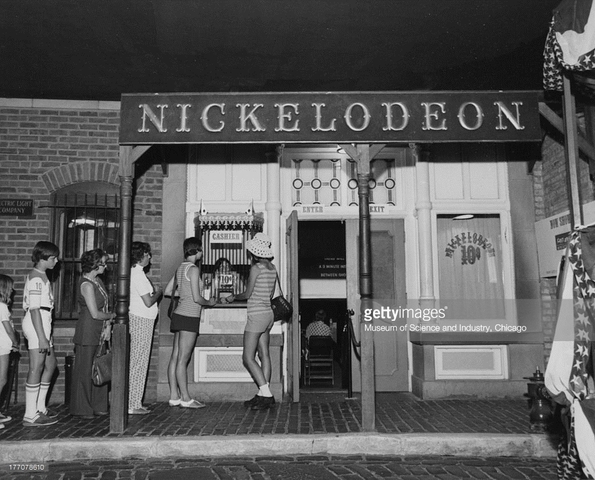 Nickelodeons were named after the price, one nickel, to see a film. Eventually these grew into the movie theaters we go to today. The MPPC, or Motion Picture Patents Company was founded in December 1908. 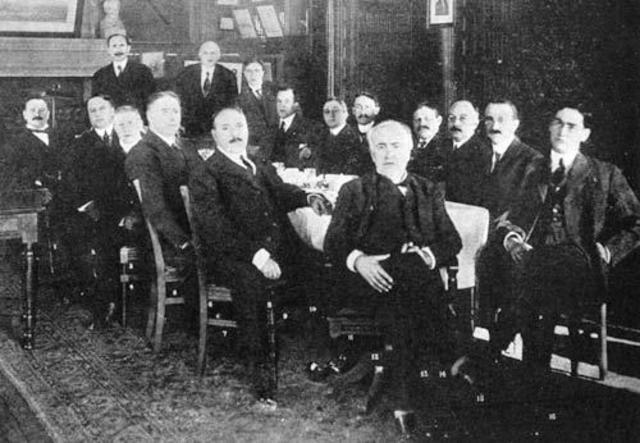 The MPPC was a trust of all the biggest US film companies. While the MPPC did provide safety for US filmmakers, it was bad for foreign filmmakers because they were ostracized. 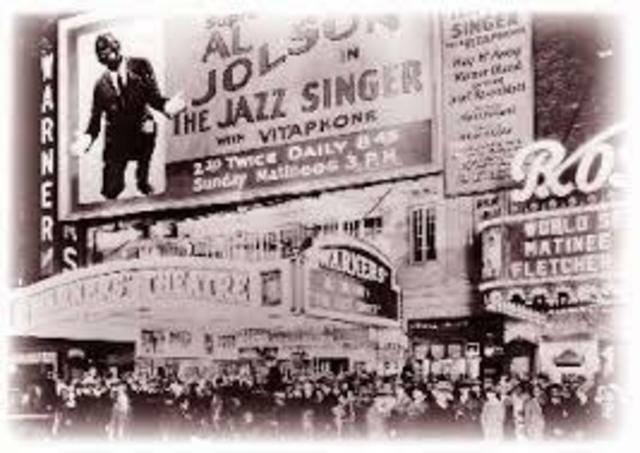 Until this time, all movies were silent, they were typically just accompanied with live music, this became revolutionary. These movies now had sound, rapidly they boomed in popularity. These movies, known back then as "talkies" were a revolutionary hit in the cinema business. Along with the rise of movies came the rise of the movie stars. Just like Jennifer Lawrence and Tom Cruise, these people were a hit with everybody, everyone treated them as royalty, and for the time, they were making a lot of money. 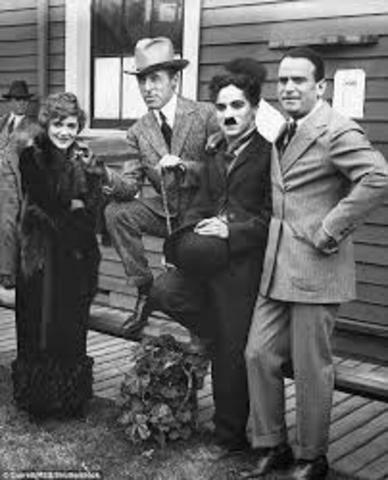 Some of the first movie stars of the time were Charlie Chaplin and Mary Pickford. It's the 40's, a time of innovation in America, and one of the biggest innovations was technicolor. This allowed filmmakers to actually put their film in full color to be viewed. This was another step closer to the modern films we have today. Now we're getting closer to some of the movies we see today, no longer are just physical props being used, welcome to CGI. CGI was a revolutionary invention that made filmmaking extremely easier due to the effects that it could make. 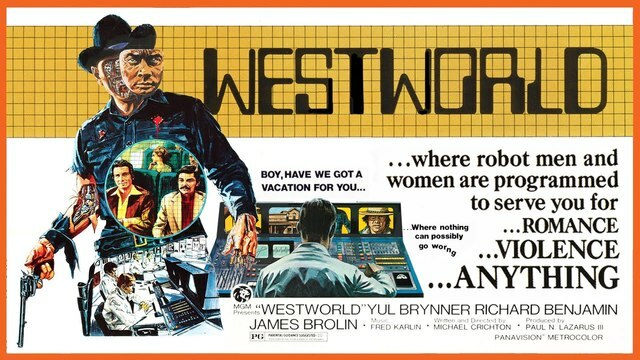 One of the first films to use CGI is 1973's Westworld. Film has come such a long way, from a bet on a horse to million dollar movies. 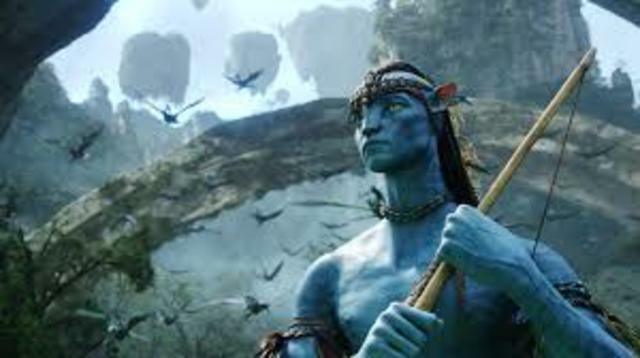 One of the biggest movies of all time was 2009's Avatar, which costed almost 300 million dollars to even make. This just goes to show how long film has really come.